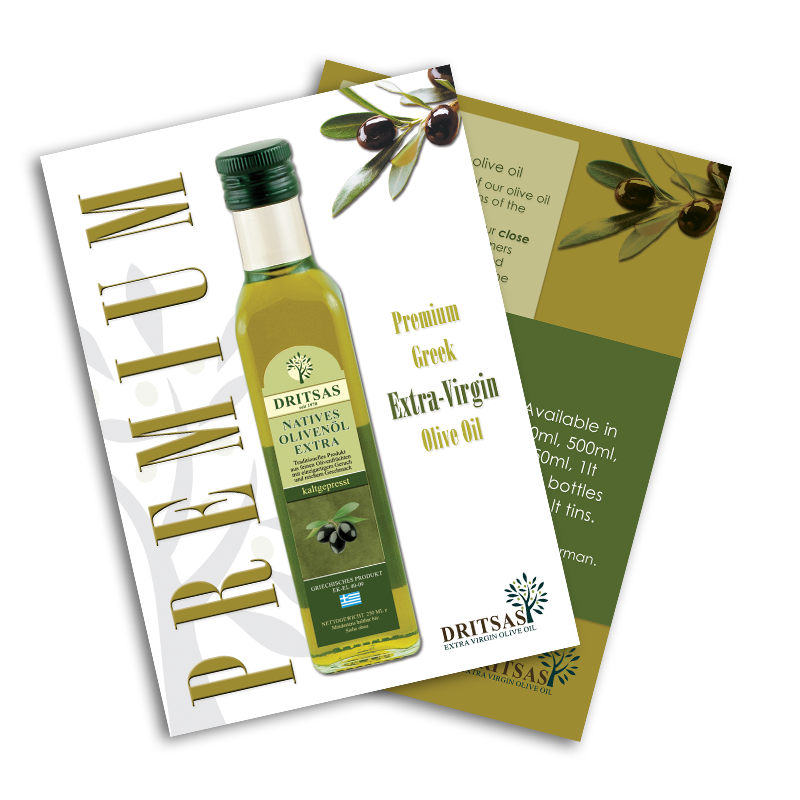 Dritsas Olive Oil has been trading in the food products market since 1970, with a major focus on premium extra-virgin olive oil. Our passion for the purest of raw materials, the high quality and the special taste of our products have already earned the preference of Greek consumers and European travelers to the island of Aegina and other parts of the Greek market, where our olive oil has been placed in restaurants and supermarkets. Our aim is to produce and supply extra-virgin olive oil of premium quality to satisfy the increased demands of modern consumers for guaranteed, quality olive oil. The origin of our olive oil from selected olives of the Peloponnese, our private production facilities and our close relationships with our partners guarantee for a premium food product that will satisfy even the most demanding consumers. Apart from the Greek market, we also welcome orders from other countries (our products are already available with German labels). For more information contact us.